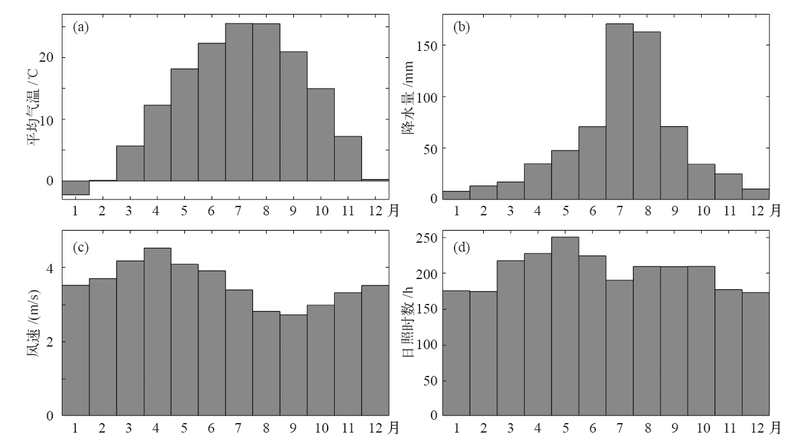 Based on the meteorological and animal phonological observations in Qingdao, the characteristics of climate and phonological changes and their relations were investigated. From 1986 to 2016, the first song days of animals in Qingdao respectively exhibit smoothly fluctuations for Cryptotympana atratas, first delaying and then advancing trend for crickets, and distinct delaying trend for Hirundo rusticas and frogs. All their last song days display a significant advancing trend, and their first-last song intervals have a remarkable shortening trend. 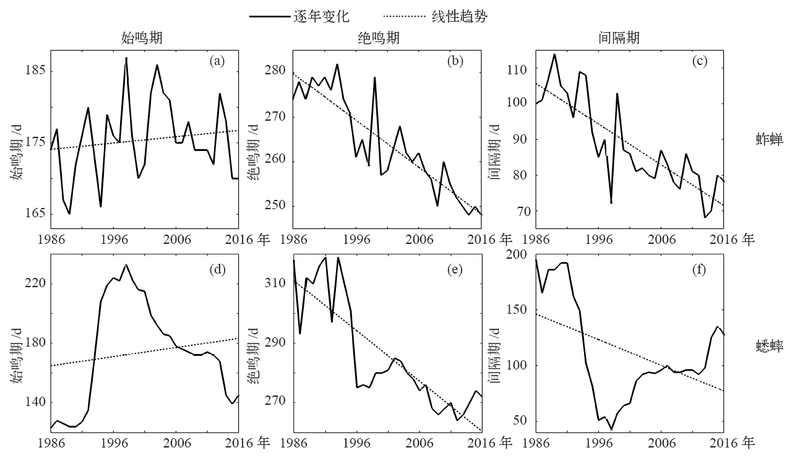 Under the influence of global warming, the temperature rises significantly, the precipitation changes a little, but the annual sunshine durations and wind speed both present a trend of dramatic decrease during 1961-2016 in Qingdao. The decrease for sunshine durations affects phenophase the most for the four animals, which is beneficial to advancing the last song days and shortening the first-last song intervals for all, and delaying the first song days for Hirundo rusticas. The phenophase for crickets and frogs responds notably to the temperature rising, but not for Cryptotympana atratas and Hirundo rusticas. The decreasing wind speed helps advancing the last song days and shortening the first-last song intervals for Cryptotympana atratas and Hirundo rusticas, but is conducive to delaying the last song days and extending the first-last song intervals for frogs. Hence, the phenophase variation occurs in conjunction with several climate factors. Except for the influence from climate change, the inter-restriction of food chain among animals also plays a role in causing the phenophase variation. Fei-Yan GUO,Dong-Ju QI,Bin ZHOU,Yun-Chuan XUE. 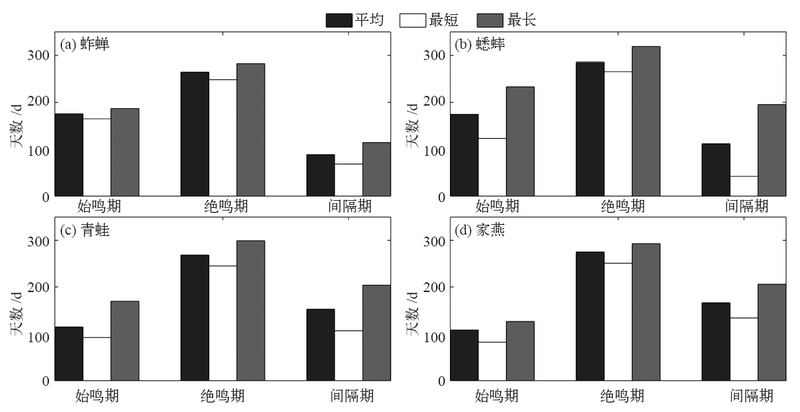 Influence of climate change on the variation of animal phenophase in Qingdao area. Climate Change Research, 2019, 15(1): 62-73.